For over a year John Ordover documented his struggle to lose weight, in the process creating a battlefield journal of the physical and emotional challenges he faced and how he worked past them. Here Ordover collects his weekly weight reports and adds wry observations on what he was doing and feeling, ways he coped with both setbacks and success, and a sharp push-back against society’s unkind treatment of those with a weight problem. 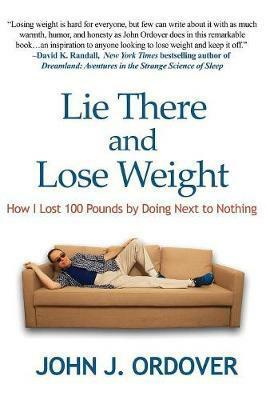 In his own illuminating and irreverent style, Ordover lays out how determination, distraction and a sense of humor helped him cope with dieting’s unavoidable irritations and walk past constant temptation to recover his health. To get there, he had to see past what “everyone knows” about losing weight–but is dead wrong, figure out what worked for him, and cut through the biggest myth of all: that weight loss requires hours at the gym or miles on the track. Charming and compelling, insightful and entertaining, Ordover’s story of losing weight and keeping it off is very much his own, yet offers guidance and support to anyone facing the same life-or-death challenge.